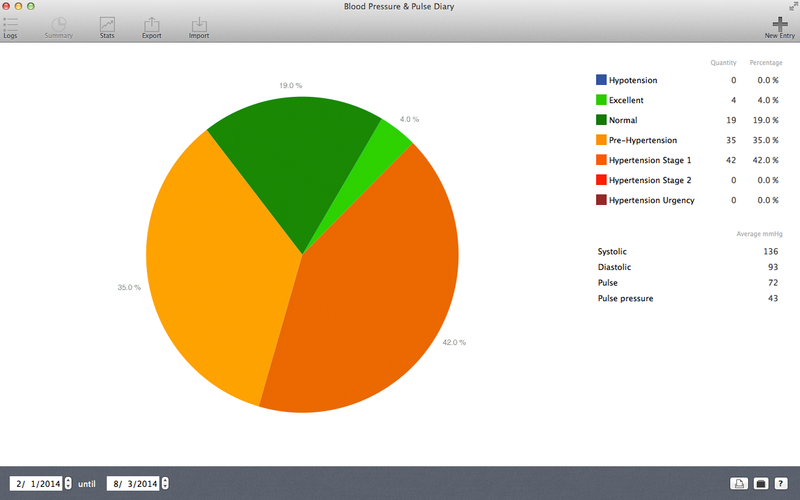 This app is a tool helping to collect, track and analyze your blood pressure and pulse measurements on a daily basis. Thus, it is a fully adequate blood pressure record card. 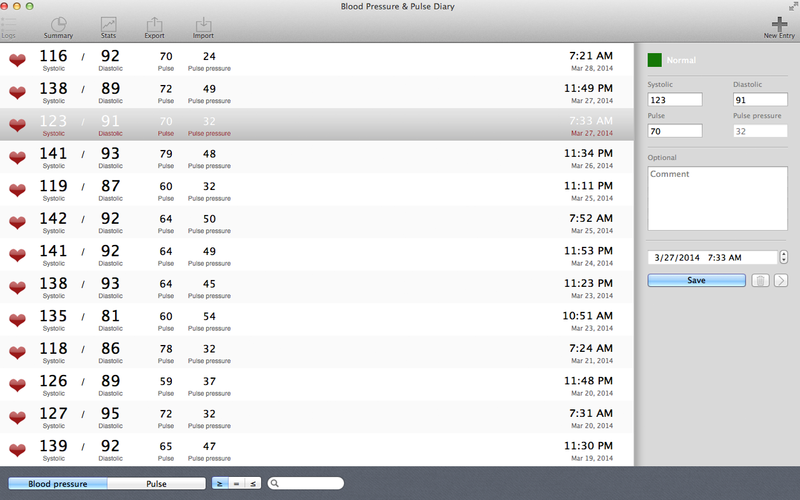 Easily add and edit your blood pressure. 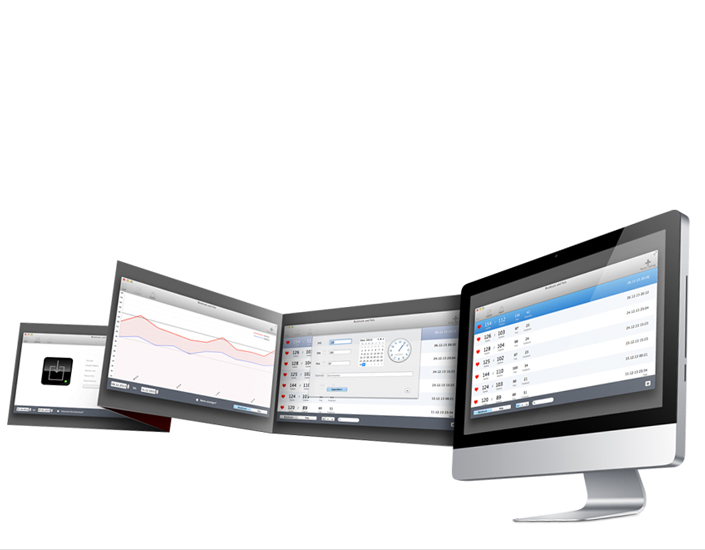 Moreover, you can export data as spreadsheet files to share conveniently with your physicians. The information within this app should not be considered medical advice and is not intended to replace consultation with a qualified medical professional. 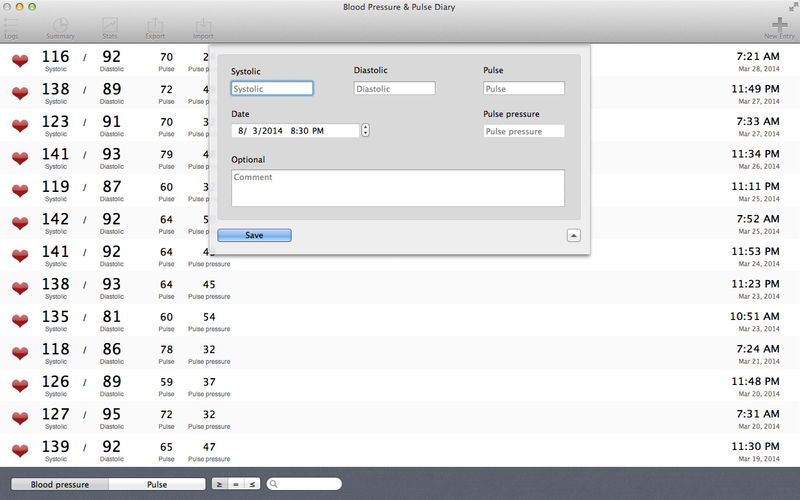 Is "Blood Pressure & Pulse Diary" compatible to 10.8 Mountain Lion and 10.9 Mavericks? 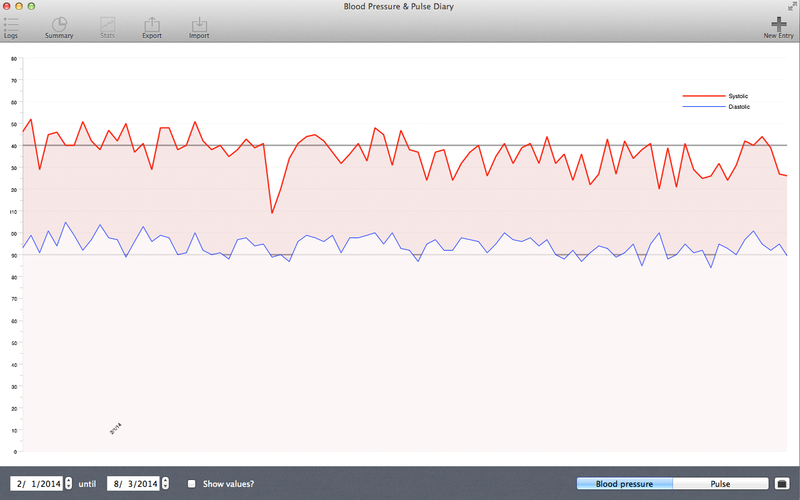 Yes, "Blood Pressure & Pulse Diary" is fully compatible with OS X 10.8 Mountain Lion and 10.9 Mavericks. Attention: Previous versions of Mac OS X are not supported! Do you offer a Windows Version? 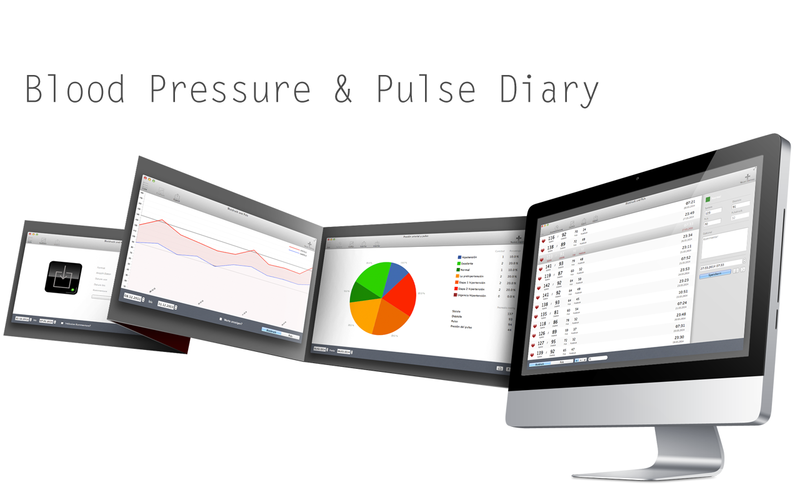 No, "Blood Pressure & Pulse Diary" does only run on Macs and we do not offer a Windows Version.